The traditions of Massachusetts run deep, thanks in large part to the role many residents’ ancestors played in the American Revolution and the formation of the U.S.
One of those traditions, building ships for military and commercial use, has brought on illness and death to shipyard workers because of several decades of asbestos exposure. Retired shipyard workers are at risk of respiratory disease because asbestos use was prevalent in shipbuilding and asbestos was used in many other industries in Massachusetts. For example, Massachusetts residents were exposed to asbestos working in textile mills, power plants and auto parts factories. As a result of the vast use of asbestos in different industries, the state ranks 13th in the nation for mesothelioma and asbestosis deaths. The Boston Naval Shipyard operated from 1801 until 1974 and served as one of the country’s most vital shipbuilding facilities. From 1941 to 1945, the shipyard employed nearly 50,000 workers to build U.S. Navy ships to serve in World War II. According to a Navy report, as many as 300 components on each ship contained asbestos. The mineral was a primary ingredient in insulation panels, epoxies and gaskets. The Navy began regulating the use of asbestos in its ships in 1973 and closed the Boston Naval Shipyard a year later. Later that decade, some of the first studies linking asbestos exposure to lung disease entered the public discourse. Numerous workers who were exposed to asbestos developed respiratory disorders decades later. Massachusetts officials have asked for $1 million in private funding to help restore 22 acres of land and water at the Blackburn & Union Privileges Superfund Site. The land is polluted by asbestos, lead, arsenic and other hazardous substances. From 1915 to 1936, a predecessor of W.R. Grace manufactured clutch linings and asbestos brake linings on the site. A predecessor of another party involved in the settlement, Tyco Healthcare Group, ran a textile factory from 1946 to about 1983 that used caustic solutions at the site. The Massachusetts Clean Air Act closely resembles the federal law of the same name, which also includes provisions for the handling, disposal and transport of asbestos-containing materials. Companies performing work on buildings or homes that may contain asbestos must follow the laws of the state’s act. Failure to comply can result in fines and civil penalties. For example, in 2014, the Massachusetts attorney general filed suit against Patriot Environmental Corporation for failure to pay permit fees on at least 24 asbestos projects and a $50,000 penalty for asbestos violations on other projects. The suit, which seeks civil penalties and payment of outstanding fines, also alleges the company failed to take proper safety precautions while removing asbestos shingles from a home in Sturbridge. 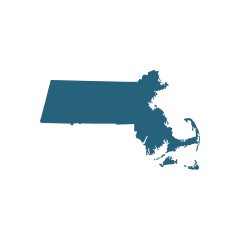 In September 2018, the Massachusetts attorney general filed suit against Capstone General Contracting, Inc. for violating the state’s clean air laws and the state’s consumer protection law. The company and its subcontractor were caught illegally removing asbestos pipes from a multi-family home. Capstone and its subcontractor paid nearly $200,000 to settle the lawsuit. Nuances of asbestos litigation vary from state to state. Some state’s courts have a history of ruling in favor of plaintiffs diagnosed with terminal asbestos-related cancers, while others tend to rule in favor of defendants who manufactured asbestos products. Massachusetts courts have a history of ruling in favor of plaintiffs with a terminal asbestos-related disease if they can prove the defendant was negligent. Many asbestos lawsuits filed in Massachusetts are settled outside of court. For example, one Massachusetts man, whose name is withheld for privacy reasons, was exposed to asbestos at work throughout his life and died at the age of 52 from an asbestos-related disease. His family filed suit, and the defendant settled before trial for $5.6 million in 2012. Massachusetts has a statute that caps non-economic damages at $500,000. Exceptions can be made if the plaintiff can prove they were significantly disfigured or suffered an irreversible loss or impairment. Sometimes, exceptions are made for mesothelioma cases, given that the disease is terminal. Lydon v. T&N Ltd. et al. : John Lydon worked for T&N, formerly Turner & Newell, as a construction supervisor to workers who sprayed Limpet, a spray insulation that contained asbestos. Lydon alleged that he developed mesothelioma as a result of the exposure he received working for T&N, which was later acquired by Federal-Mogul Corporation, a corporate conglomerate that manufactures industrial and transportation products. 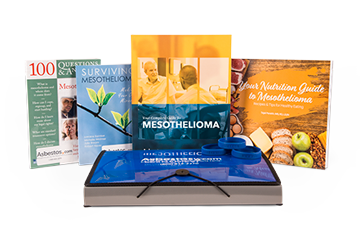 After John’s mesothelioma diagnosis, the Lydon family filed a claim with the Federal-Mogul Asbestos Personal Injury Trust and the trust decided to file a lawsuit to supplement funds for the claimant. The trust filed the suit on behalf of the Lydon family, which the trust was authorized to do under Federal-Mogul’s bankruptcy reorganization plan. In 2014, a Boston jury awarded $9.3 million to the Lydon family for compensatory and punitive damages.